By now I must have traversed the stretch of 59th Street from Stony Island to Woodlawn Avenue over a hundred times. That's the shortest route from the Jefferson Express bus to the Max Palevsky Cinema, where University of Chicago's Doc Films has screened movies since 1987 and where much of my education in film history has taken place. If you live on the north side, rely on public transportation, and have ever seen a movie at Doc, chances are you've walked this third of a mile too. When the weather's nice, it's a lovely 15-minute stroll, with the university's grand mid-19th-century architecture on your right-hand side and Midway Plaisance Park on your left. It has the invaluable effect of creating distance between your life and the movie you're about to see, of priming you to enjoy it undistracted by everyday concerns. 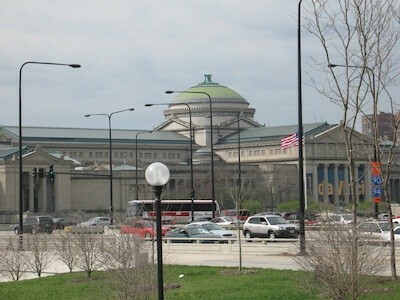 And on the way back to Stony Island, it offers some time to reflect on what you've just experienced. It occurred to me a few weeks ago, after a screening of Tom, Tom the Piper's Son, just how important this walk has been to my moviegoing life. The air was cool; I could hear the sound of skittling dead leaves all the way to the bus. Ken Jacobs's classic, a generally playful consideration of movie history, felt ruminative in this weather. Noting the changing season made immediate Jacobs's lesson of how films wear and deepen over time. I wondered if I would have felt the same way had Doc programmed the movie in summer, when exiting onto a sleepy, half-shuttered campus can make any moviegoing experience seem like escapist pleasure in hindsight. The important thing about the post-movie ritual is that it gives shape to your experience and allows you to start defining its aftertaste. Earlier this year, when I wrote about attending the Wisconsin Film Festival, I expressed how nice it would be if the Chicago International took place across multiple venues again. I still think it would be nice. But now that our festival has been held almost exclusively at the River East for a few years, I'm coming to appreciate the third of a mile of Illinois Street between that theater and the Grand red line stop, where the reverberations below the underpass are accruing the same totemic value as the dead leaves of Hyde Park.